This recipe courageously created by Lauren. 1. Place all ingredients inside blender or food processor. 2. Pulse and mix until well combined. 3. Pour into Push-Up Containers. 4. Place Push-Ups into freezer and wait! Remember push-up pops? Lauren loved to eat the Flintstone Push-Ups every summer from the ice-cream trucks or if lucky, mom’s freezer. SCD attempt number one turned into something different, a smoothie like pop! The orange wasn’t cutting it, so we just started throwing things in. They are a nice strawberry tart relief from the heat. 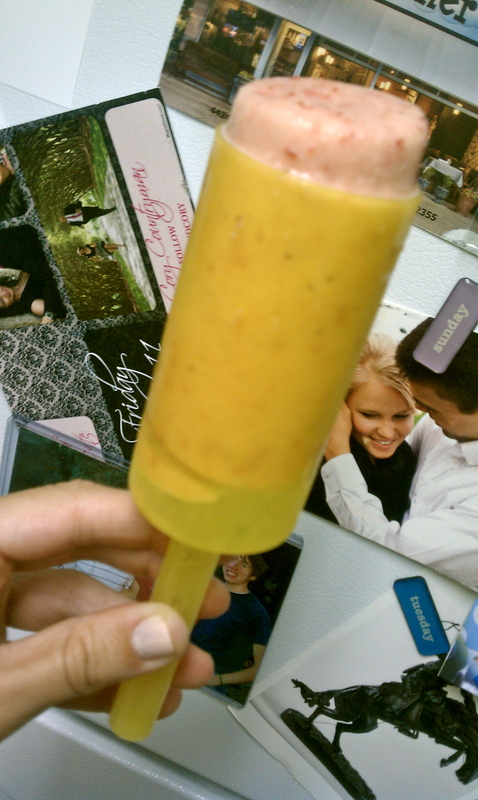 Next time we’ll try yogurt with fresh mango and OJ to bring back the old summer Flintstone fling. Oh and we might run the mix through the ice-cream machine before popping it into the Push-Ups. This recipe inspired by www.cooks.com and Jessica Simpson. 1. Open and drain the water from the canned tuna. 2. Chop the boiled eggs and pickle. 3. Add the all ingredients to a bowl and mix. 4. Eat plan, make lettuce wraps with tuna and tomato, and spread on SCD sandwich bread. Well done, nice and tasty. I will be excited to try another tuna recipe soon. If you have the boiled eggs already, this is quick and good. If you don’t have boiled eggs ready, it takes a bit of time to make them and let them cool (to hastened the speed put them in the freezer). Nice cool main dish. This recipe inspired by a craving, allrecipes.com, and the fridge. 1. Preheat oven to 350 degrees and lightly grease a 9 inch pie pan. 2. Cook bacon strips in skillet until crispy, then set aside to cool. 3. Pour out bacon grease leaving about 3 tables spoons in pan. 4. Add chopped onions and mushrooms to pan and cook, stirring occasionally, until onions are soft. 5. 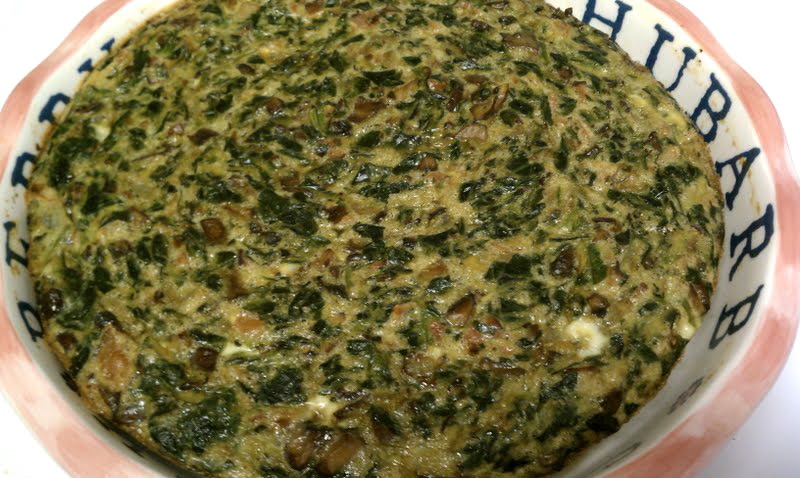 Stir in spinach and continue cooking until excess moisture has evaporated. 6. Chop cooled bacon into bacon “bites”. 7. 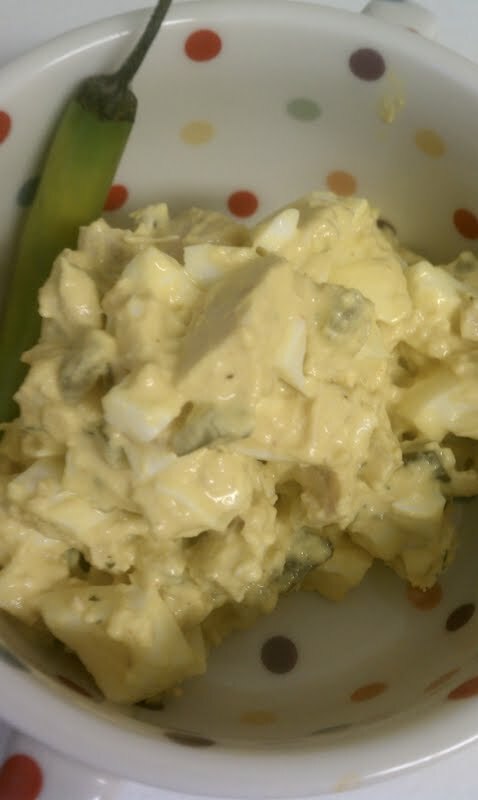 In a large bowl, combine eggs, , salt and pepper. 8. Add spinach mixture to bowl and stir to blend. 9. Scoop into prepared pie pan. 10. Bake in preheated oven until eggs have set, about 30 minutes. Let cool for 10 minutes before serving. This recipe graciously stolen from eHow.com. 1. Place the raw egg in a saucepan. 2. Run cold water into the saucepan until the water is 1 inch above the egg. 3. Place the saucepan on a stove and cook over medium heat until the water begins to boil. 6. 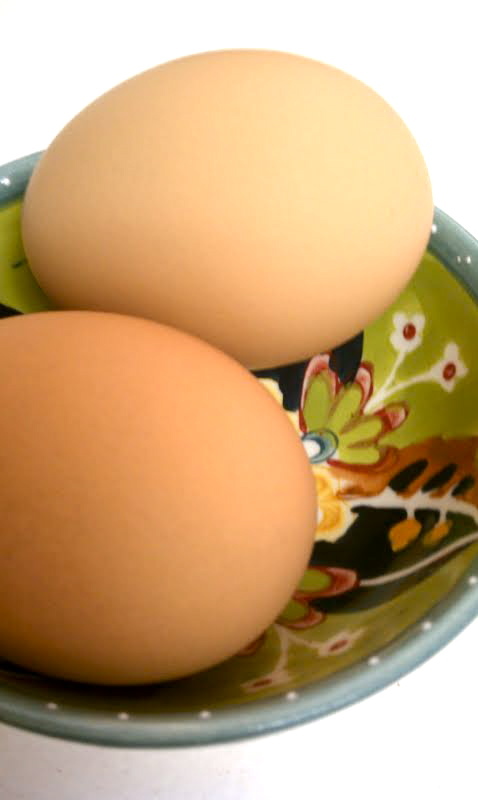 Remove the egg with a spoon or ladle and let it cool slowly, or run cold water over it to cool it more quickly. Simple quick breakfast you can make for the week that gives good protein for a good fill me up! Lauren likes them with a Muffin. Jordan prefers bacon. Bacon needs nothing else to Jordan. Why even eggs? Well if you’re like Lauren, you want variety. If you’re like Jordan, there is no such thing as too much of a good thing- bacon!!!! Also you may like to know that hard boiled eggs can last up to one week in the fridge when the shell has not been opened already.